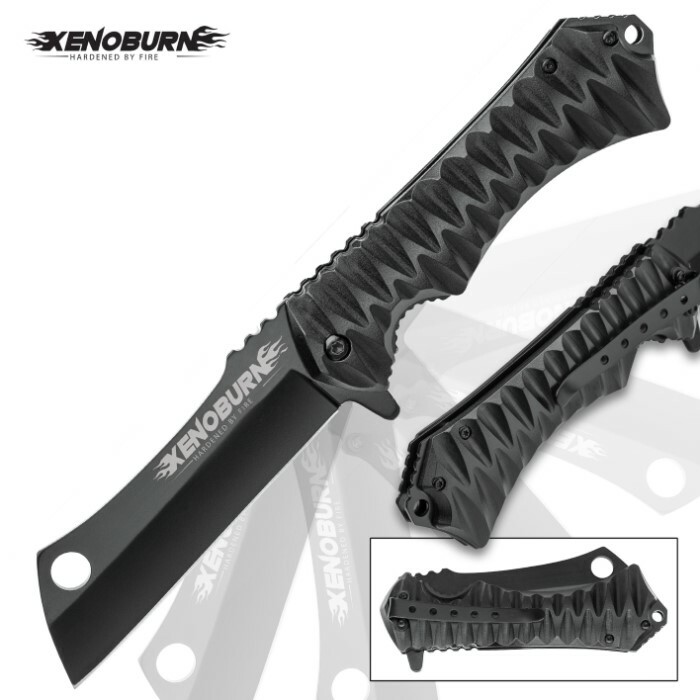 Xenoburn Assisted Opening Cleaver Pocket Knife - Black Titanium Coated Steel Blade, Textured TPU Handle, Pocket Clip, Lanyard Hole | BUDK.com - Knives & Swords At The Lowest Prices! 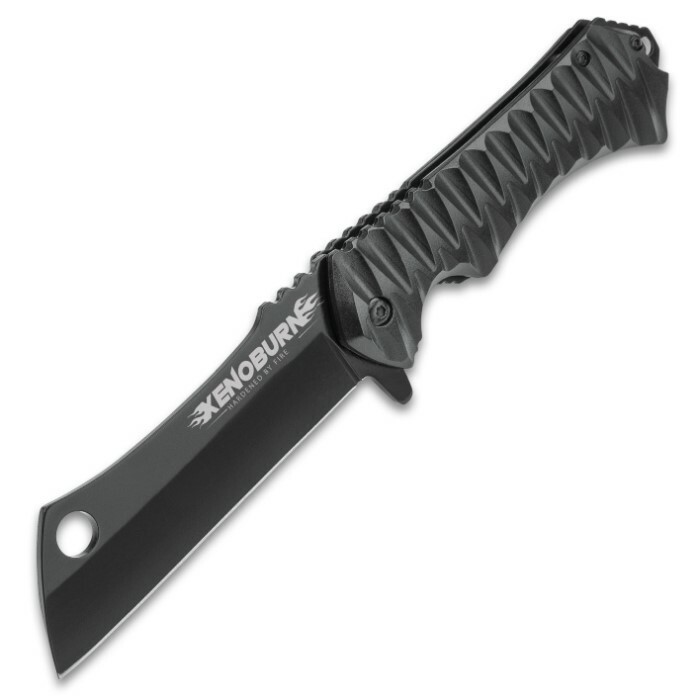 The Xenoburn Assisted Opening Pocket Knife was built for hacking and chopping with its wide, modified Samurai sword profile blade, which has been honed to a keenly sharp edge. 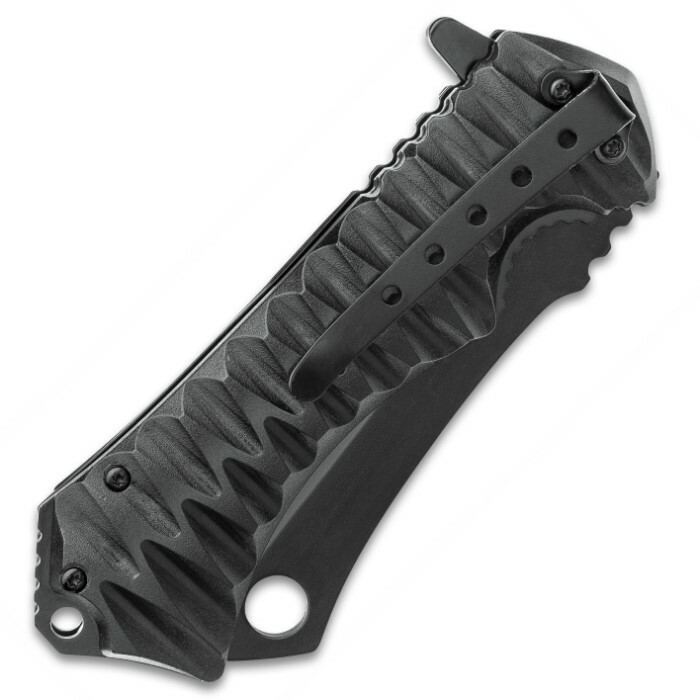 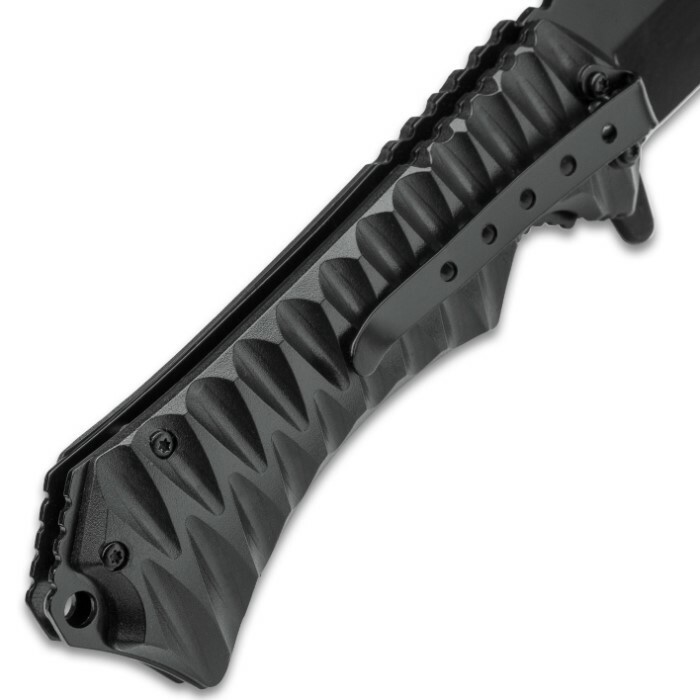 The 4” black titanium coated stainless steel blade has jimping for better control and it can be quickly deployed with the assisted opening mechanism using either the flipper or thumbstuds. 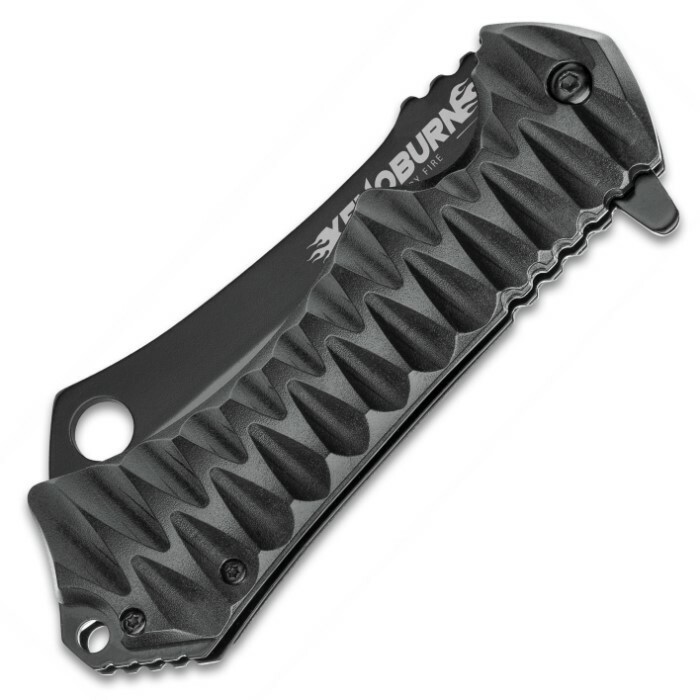 The black TPU handle is extremely grippy with a ridged textured and it features an extended liner with a lanyard hole. 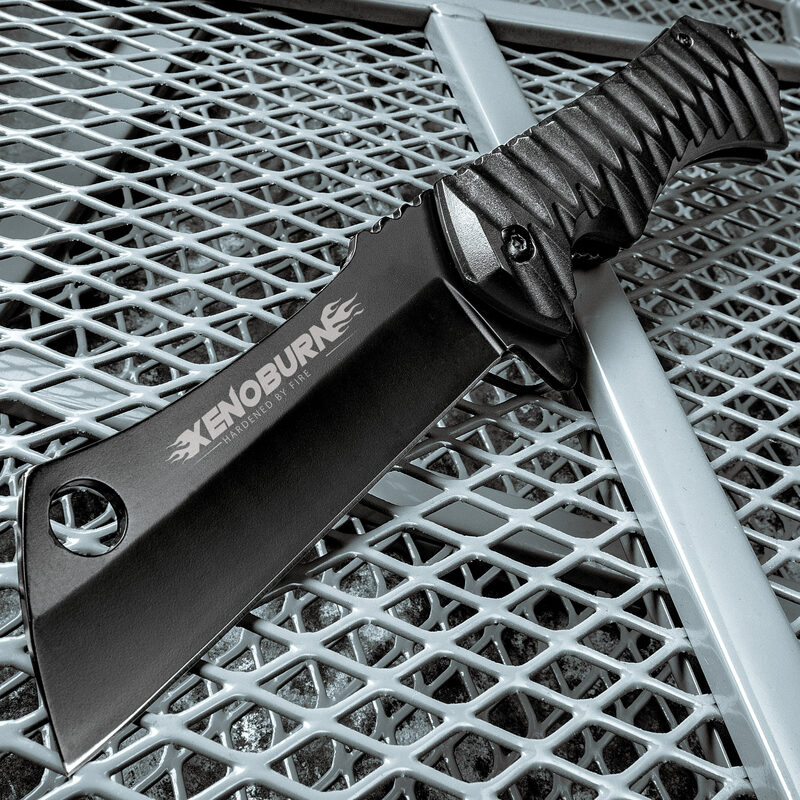 The pocket knife has a stainless steel pocket clip, which assures you of a secure and comfortable carry and trust us, you won’t go anywhere without it!